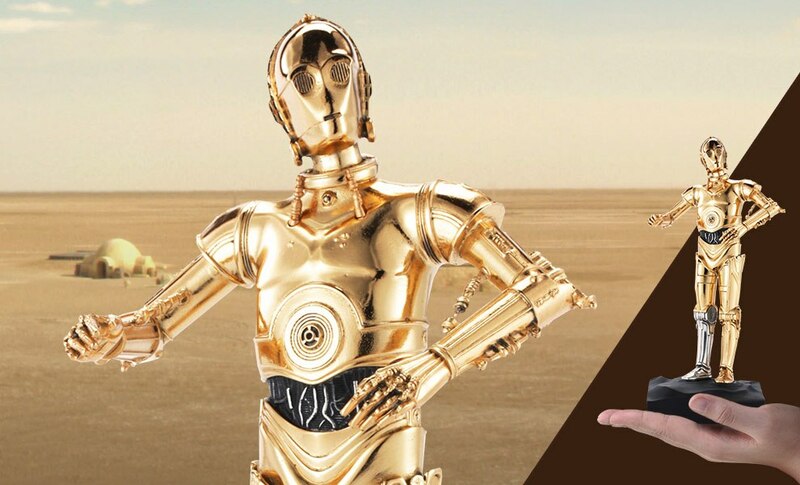 Accustomed to more genteel surroundings, being marooned on a desert planet is not going well for our fussy protocol droid, especially not when his travelling companion has secret mission plans of his own. 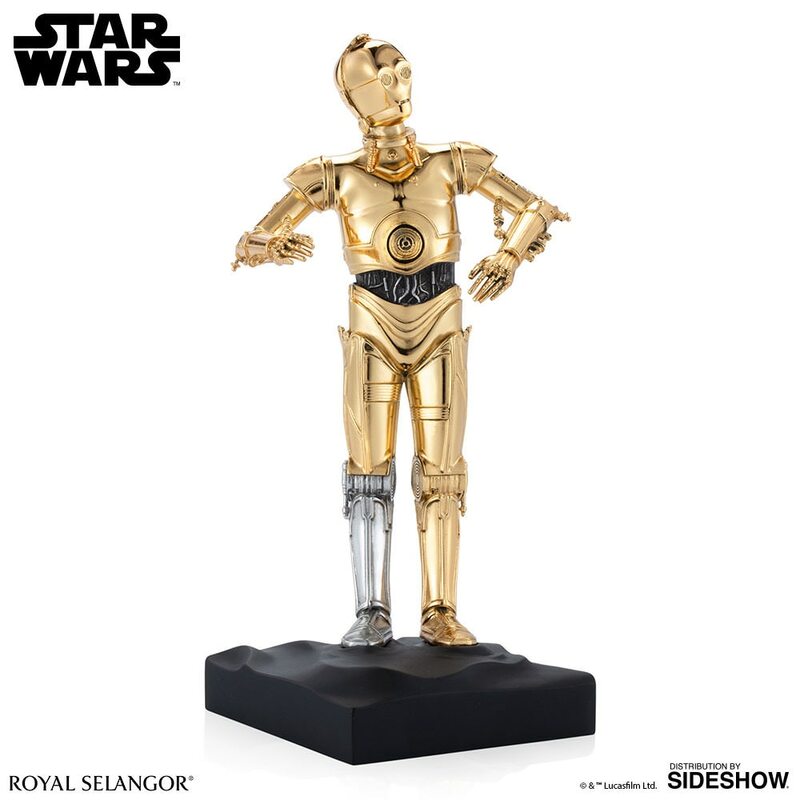 C-3PO is reproduced in exquisite detail in pewter, captured in his iconic fit of pique at R2 after their unceremonious landing on the barren sands of Tatooine in 1977's Star Wars: Episode IV - A New Hope. 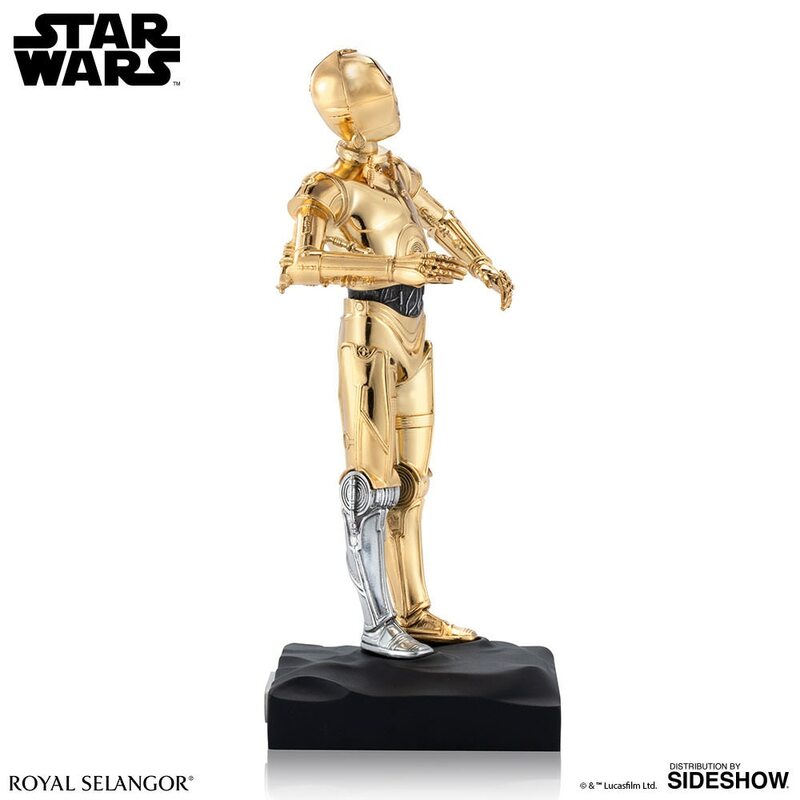 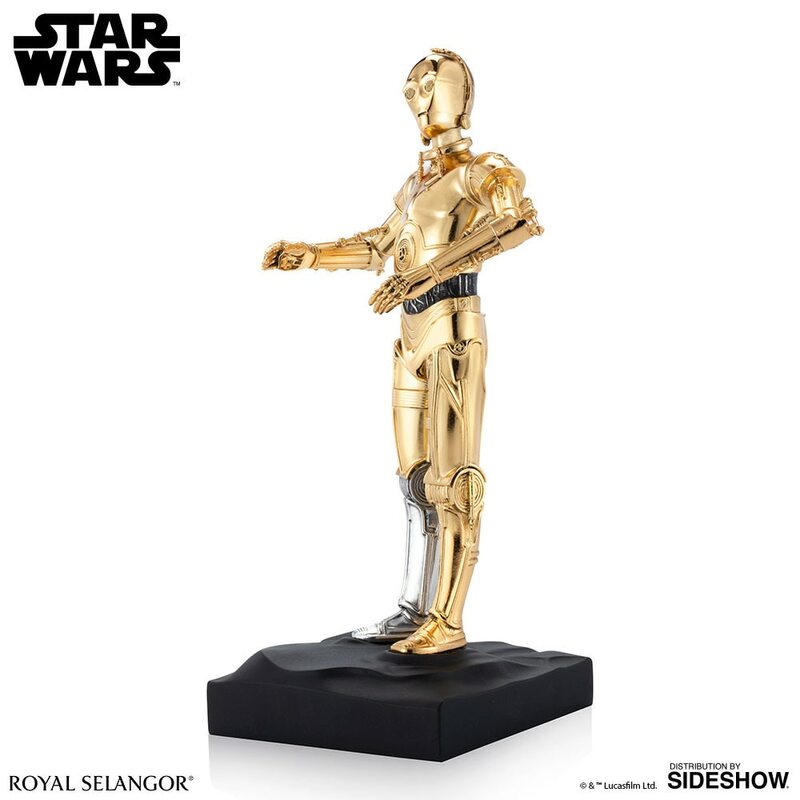 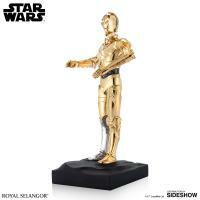 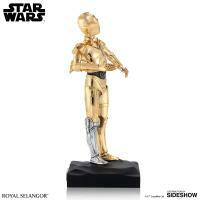 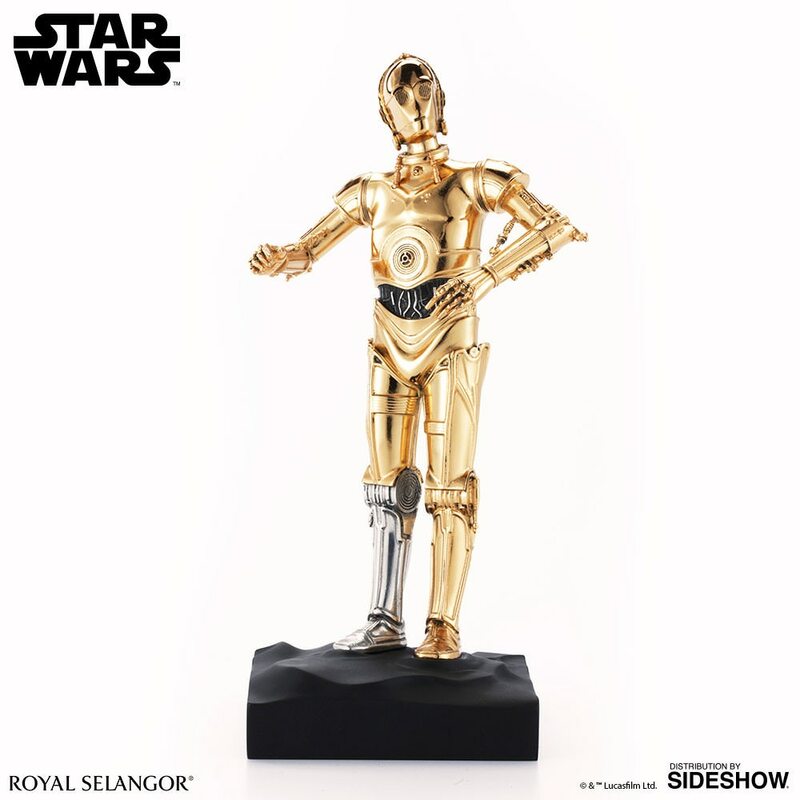 Brightly gilded in 24K gold except for the droid’s lower right leg, to maintain movie accuracy. 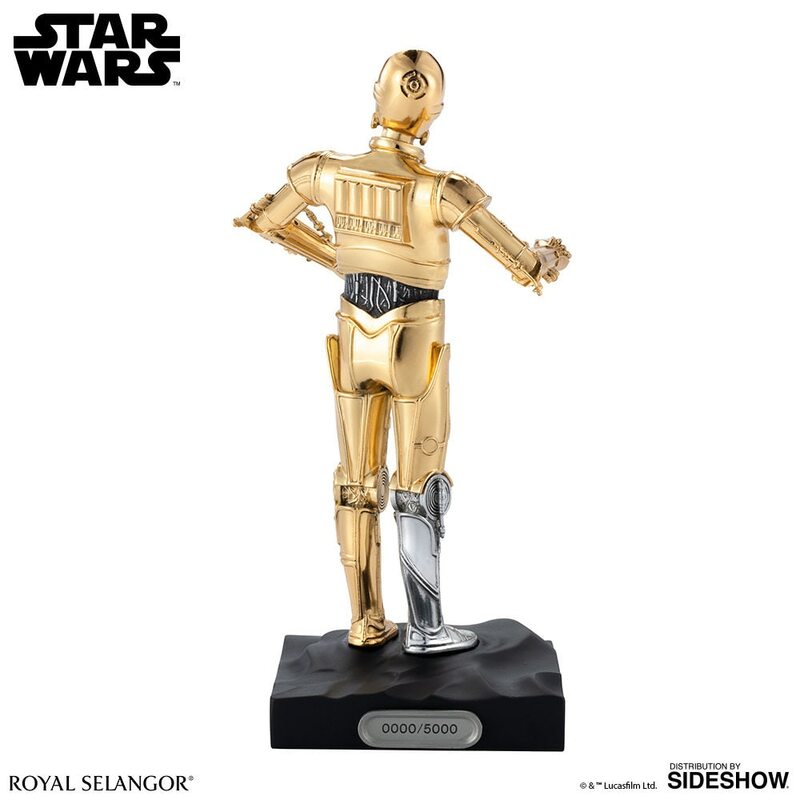 The C-3PO figurine is limited to 5,000 pieces worldwide. 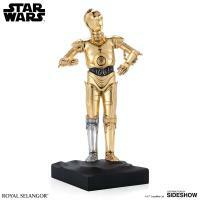 This Star Wars collectible has been recreated in great detail for you to add to your collection today!